My review: I was provided a free copy of this book in exchange for an honest and fair review. 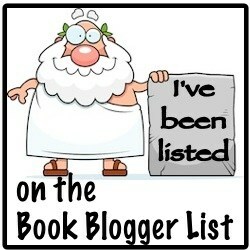 I also participated in the Blog Tour for this book, you can see the post here. This book tells the story of Grace Ware, the daughter of one of Napoleon’s most trusted military men. Grace’s only family is her father and she has traveled with him throughout her life, even as far as the battlefields. Grace’s amazingly perfect memory has made her a valuable asset to her father as well, she can remember literally everything – everything she reads, sees, and hears and exactly where it originated and can even sort these items chronologically. Its quite amazing. Anyways after her father is murdered, Grace ends up hiding in a crate and ends up being shipped to Scotland, where she arrives 5 days later almost dead. She’s been shipped to Hugh Pennington, a decorated war veteran himself only on the British side. After nursing Grace back to health, Hugh begins to have feelings for her without knowing who she is. But can they overcome their differences and find happiness together? Overall I thought this was an ok book. The plot like was fairly interesting and I liked both the main characters. There was a little bit too much mush-y stuff for me, the hero and heroine profess their undying love, multiple times. Which is fine but just not something I usually go for. Other than that though it was a sweet story and I found it interesting. It was a fairly quick read and I would recommend giving it a try! The bottom line: I liked this one, I thought it was a good and quick read. It got to be a little too cheesy for me but if you’re looking for over the top ooey gooey love this one definitely has it. I would still recommend it though, it was a sweet story! My review: I was provided a free copy of this book in exchange for an honest and fair review. This book tells the story of Elizabeth St. Claire and Hamish Robb. Hamish has arrived in London at the bequest of his friend and business partner, Lachlan Sinclair (a duke). Sinclair’s wife is pregnant and can’t travel, and so he sends his friends Hamish and Ranald to watch over his four female cousins as they fight for husbands this Season. Elizabeth and her three sisters, Anne, Mary, and Victoria, are all very charming and lovely women. Elizabeth has always had a fondness for Scotsmen, even though she’s lived her whole life in London. She did visit Scotland once and found it to be entrancing, as she has also found the brawny men of Scotland as well. So when an especially handsome one shows up on her doorstep, she isn’t about to let this opportunity pass her by. And even though Elizabeth’s sister Anne doesn’t particularly care for Scotsmen (dislikes them in fact), she can’t seem to help herself when it comes to Ranald. Overall I enjoyed this book a lot. It was definitely a quick read and so of the plot pieces were a tad unclear (like the timing once we got to the last couple chapters, it sounded like months went by but then we were talking as if weeks went by or days and it was a little confusing). I really liked that this story line incorporated the lives and romances of all four St. Claire sisters, it added an extra layer of interest. This was definitely a quick and easy read but still kept the reader interested. The story had a sweet ending and I thought this was a good addition to the series! I would recommend it. The bottom line: I liked this book a lot. I loved how well the story lines were woven together. This was a quick, fun and sweet read and I would recommend it! My review: I was provided a free copy of this book in exchange for an honest and fair review. I received this book from Book Browse in order to participate in an online book discussion on the book. If you’ve read it please come join the discussion! This book tells the story of Victoria, Queen of England in the mid 1800’s. The book begins before Victoria is queen, when she was still Alexandrina, daughter of the Duke and Duchess of Kent. Controlled for her whole childhood by her mother and her mother’s boyfriend/advisor (Conroy), Victoria becomes Queen when she’s barely 18 and relishes the freedom this provides. This book chronicles her Victoria’s life between the ages of around eighteen and twenty as Victoria comes into her place in the regency. As a young woman she has a lot to prove though, and with so many people who’d like to control her or use her power to their advantage, she has to be careful who she trusts. As Victoria navigates through her first couple years as Queen, she makes mistakes and falls in love and causes some scandal but all in all she stands her ground, makes her own decisions, and follows her heart. Overall I did enjoy this book. Victoria was very interesting as a main character and the story line was interesting. There were parts of the story line that I thought could have been dug into more, like the discussions of the poor people in London and how Victoria was spoiled with riches while there were children starving in the streets.And if I’m being completely honest, I didn’t like the way the story ended. I didn’t like Victoria’s second love interest, I wanted her to end up with Melbourne despite the age difference. That probably was the thing that bothered me most about the book. Also it seemed like everyone wanted something from Victoria, which I’m sure is normal for a book about a Queen but I have to say is kind of depressing for a book about a young woman. This was a good and interesting book though and I would recommend it. The bottom line: I liked this book a lot. Victoria was extremely interesting as a character and the book included a good deal of dramatic tension, conflict, and romance as well as political intrigue. I didn’t really like the ending but overall I thought the book was very well written. I would recommend, especially for fans of books about royalty. Bequeathing Beauchamp House to four bluestockings―no matter how lovely they are to look at―is a travesty, and Quill simply won’t have it. But Lady Celeste’s death is not quite as straightforward as it first seemed…and if Quill hopes to solve the mystery behind her demise, he’ll need Ivy’s help. Along the way, he is surprised to learn that bookish Ivy stirs a passion and longing that he has never known. This rogue believes he’s finally met his match―but can Quill convince clever, skeptical Ivy that his love is no fiction? My review: I was provided a free copy of this book in exchange for an honest and fair review. I was lucky enough to do an author interview with Manda, you can see my post with that, an excerpt from the book, and other information here. This book was about Ivy Wareham, the daughter of a professor and an extremely talented linguist/translator who has recently been granted a partial inheritance from someone she’s never met. Lady Celeste Beauchamp has left her estate to 4 intelligent young women, all of whom are extremely eager to use Lady Celeste’s extensive library and other resources to continue expanding their knowledge and the body of their own work in their separate fields of study. But Celeste’s nephew (Quill) is determined to fight this as he is not happy about his aunt giving away his childhood refuge to four strangers. Then Ivy and Quill discover Celeste was murdered and they must join together to solve the mystery of who murdered her and why. And as they spend more and more time together trying to solve this particular mystery, they realize that fate may have brought them together for a reason: true love. Overall I really liked this book. I loved that the heroines in this series are all extremely intelligent young ladies, and after being introduced to them all in the first book I can already see how different and interesting each of their characters will be. Ivy was fierce and intelligent and I just loved her as a character. And the relationship that developed between her and Quill was passionate but it was more than that too, it was full of real emotion and love. This book did have a lot of characters to keep track of but I think that will only add more depth to the other girl’s stories when they each get told. I think this was a good read and a great start to a new series. I would definitely recommend. The bottom line: This was a great book! I loved that the author chose to portray such intelligent heroines, they were all very interesting. The plot was creative and kept me interested. And the tension between the hero and heroine was emotional and heart-warming. Loved it! LOVE ISN T ALWAYS WHAT IT SEEMS. Justin Reeve Netherwood, Earl of Kempthorn a.k.a. Thorn has never cared much for his neighbor’s daughter. But his twin brother, Gideon, befriended the wild, reckless, and wholly inappropriate Miss Olivia Lydall in youth, and two have been close ever since. So when Olivia finds herself in a state of romantic conflict and seeks out Gideon for advice, he is only too pleased to oblige. Only problem: The man Olivia is speaking to is Thorn. And now it is too late for him to tell Olivia the truth. Thorn always believed that Olivia was too smitten with Gideon for her own good. So what s the harm in steering her away from him? But Thorn s charade turns out to be anything but harmless once he begins to see Olivia for who she really is: A woman full of spirit and passion and someone he can t live without. But how can Thorn claim Olivia s heart when their deepening connection and burning desire is built on lies and deceit? My review: I was provided a free copy of this book in exchange for an honest and fair review.This book tells the story of Olivia Lydall, who has been neighbors and friends with Lord Kempthorn (Thorn) and his twin brother (Gideon) since they were children. Being the heir, Thorn was forced to devote more time to his studies and less time on enjoying his youth, plus his arrogance always made Olivia wary of him, so it was Gideon that she was close with. After Gideon returns home after spending time at sea, Thorn sees Olivia for the first time in years at Gideon’s welcome home party. And during the evening of the party, when Thorn comes across Olivia in a secluded setting and she mistakes him for Gideon, he dances with her under the stars and kisses her. But can Thorn convince Olivia to kiss her while he’s himself? Or is she in love with his brother? Overall I liked some parts of this book. There were a couple twists at the end that I didn’t see coming and were good surprises in the plot. I have to admit, though, that this wasn’t my favorite book by this author, the plot line just wasn’t appealing to me. I didn’t like that no one in the book, not even the heroine, could tell the twins apart. And there was a piece at the beginning about an old lover of Thorn and Gideon’s, and I thought it was pretty gross that they were sleeping with the same person at the same time. And what the hell was Gideon’s problem? Jeez that guy was cranky through like the whole book and we never really find out what was wrong with him. And Olivia’s father was a neglectful jerk who never has to apologize for that fact for some reason. Just in general, the men in this book all seemed like they were being led around with their penises and I thought they could’ve used more time thinking with their brains instead. I think this book would’ve appealed more to readers who like a bossy hero in their historical romances. The bottom line: This was an ok book. Not my favorite in the series, the plot line was just a little weird/unappealing for me. I think its good to try if you’re reading the series or if you as a reader enjoy a hero that has a lot of arrogance and likes being in control.